Water is passively transported into the roots and then into the xylem. The forces of cohesion and adhesion cause the water molecules to form a column in the xylem. 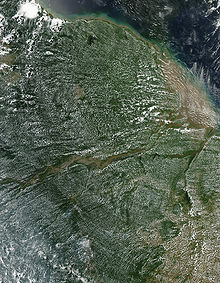 The clouds in this image of the Amazon Rainforest are a result of transpiration.